Lucid, or Lucid Optical Services Limited to use our full company name, is a specialist training company offering clear technical training courses in fibre optics, copper communications system cabling, laser and LED safety. We provide high quality training covering from practical, hands-on installation to advanced testing, photonics and laser safety courses leading to recognised qualifications. Lucid is at the forefront of technology training in the UK and Europe for optical fibre, and copper cabling systems. We are working with several official organisations to develop vocational training qualifications and awards relevant to the telecoms, datacoms and related industries, with the aim of increasing the levels of professionalism within the communications cabling industry. Our expertise in photonics has led to us developing advanced optical testing courses, laser safety training courses, qualifications and software packages, plus advanced photonics technology (theory and practical) training courses. We are also happy to research and develop bespoke courses if required – we mostly do not even charge extra for this, rather we regard it as the best way of keeping our course portfolio up to date and relevant to our customers. Our aim with this website is to be open and honest about what we can do for you, and what the career prospects are within the communications cabling and photonics industries. We are proud of the quality of our products, the expertise and experience of our trainers and consultants and our facilities. As a result, we are are happy to provide all of this information within our website. What does Lucid specialise in? 3667 (previously City & Guilds 3666/3466) communications cable installer courses and advanced testing courses through to in-depth theory & technology courses. All our courses can be run as company events on your site or at Lucid Training Centre if that is more convenient for you. Many of our standard courses are also scheduled as public courses open to individual bookings – see dates here or in the right column. We are often asked if we will extend the scope of training we deliver beyond these areas. We have a simple philosophy in this situation – if we believe that we can do this better than anyone else then we will do it. Similarly, we support the FIA qualification scheme that allows people recognition for achievement with certification from the FIA as a leading industry body, but we think new trainees should always ask whether an ‘qualification’ being touted by an organisation is independently certified – or does ‘certified’ just mean you get a piece of paper printed by that organisation? The best training courses and support ? To find out why Lucid training courses and support services are considered, by our clients, to be the best available, either explore this site or try us for yourself. We suggest the comments from past trainees, and from the external verifiers and Moderators who audit us could provide some clues to begin with. Note, we publish all written comments from trainees on our site and don’t just cherry pick the best ones – we know of no other training company prepared to do this. Lucid win Learning & Development Provider award 2009! evidence of that demand for excellence at Lucid. Sadly, the “Excellence in Cumbria” Awards have not been held since, so we have not had the opportunity to repeat our success. We have recently completed training 18 unemployed people from the North East of England in copper D-side cable jointing and testing. Designed to provide the knowledge, skills and experience necessary to work on the BT D-side copper network in the UK, the 6-month programme of training and work placements has led to all 18 trainees going into full-time employment. We have had excellent reports back on the quality of work produced by these trainees, and we expect they will enjoy profitable careers in the communications industry. For more on this story go to the Lucid Newsroom. Lucid are now developing further programmes to provide vocational training enabling unemployed people to find worthwhile careers as skilled cable jointers and faultsmen. At Lucid we support you, as one of our trainees or graduates, throughout your career in the communications cabling industry, and indeed we will help you get into the industry if we can. Our reputation and the quality of our training in both fibre optic and copper communications cable installation and testing, has led several employers to look to us first as a source of properly trained staff to fill their job vacancies. Please be aware that not all training companies provide support for trainees like we do at Lucid. Similarly once you have been working installing cables or testing cables and/or writing test reports on fibre or copper based networks you will be judged on your work and experience. If, however, you are new to the communications cabling industry you may well be judged not only on your qualifications, but also on where you trained. At Lucid we believe our reputation within the fibre optic and copper communications cabling industry is second to none, and many company managers appreciate that a cable installation or testing qualification achieved through Lucid is worth more than the same qualification achieved through some other providers. Of course the world should not be like this, but we try hard to provide the highest quality training and believe others should raise their game if they wish the status of a cabling qualification to be independent of the training course provider. In response to enquiries from several employers, we have now developed a number of resettlement training packages. These courses have been tailored to fit the resettlement and ELCAS funding available to force leavers – for more information see our resettlement pages. These packages may also be of interest to others looking to start a new career. If you need a course package to fulfil any particular requirements to be eligible for funding, we will be happy to work out the best possible package deal for you. Please feel free to contact us for a no-obligation chat about the options. How can you judge the expertise of people claiming to be experts in fibre optics and cabling? This is a good question as it seems there are many people out there claiming to offer expert training and services in optical technology, fibre optics and communications cabling, but are they all as expert as they claim? At Lucid our trainers really are experts in their fields, and they have the credentials to prove it. They achieved significant status with responsibility job roles within their workplaces prior to joining Lucid. Several also achieved considerable academic success with one being a University Professor for many years, and two others achieving PhDs. What really stands us apart though is that we have not rested on these laurels, but we continues to develop and press forward with new ideas. Many are confidential and we can not disclose, but others have led to us writing conference and journal papers that demonstrate our status as experts within the fibre optics, optical technology and communications cabling industry. Consultants – what do you think of those in our industry? At Lucid we hate to call ourselves ‘consultants’. Why, when we have probably the best qualified and most experienced team of staff in our industry sector? Simple, we have experienced too much poor, plain wrong or biased advice from so-called consultants in the fibre optics, cabling and laser safety industries (some with high powered academic qualifications and some with no qualifications at all). So are we really any different at Lucid? We believe we are and we like to prove it to our clients time and time again with optimum solutions. Contact us, with no obligations and no hard-sell guaranteed, and we’ll see if our consultancy services can help you save time and money. See more about our consultancy. Lucid has just launched a new course covering the theory and implementation of Raman amplification in fibre optic systems. The course is aimed at engineers and network designers who need to have a good appreciation of the advantages and differences between different Raman amplifier implementations. Read more in the Lucid newsroom, or contact us for a course programme. This is important. We have encountered trainers and training materials that are misleading or wrong. Sometimes the mistakes are minor and sometimes major, but if you are paying for training you have a right to expect an expert trainer who does understand the subject, can explain and answer questions correctly. At Lucid we do this, and this is why we have trained people in, for example, OTDR and PMD testing when they have previously done “advanced” OTDR, chromatic dispersion and PMD testing courses with other providers. These trainees have told us that our training courses are better, and they have learnt how to interpret OTDR, chromatic dispersion and PMD traces to gain extra information. This extra knowledge can result in value added measurement interpretation for our trainee’s clients, which helps our trainees win contracts. We are proud of our trainers and their skills, knowledge, qualifications and professionalism. This is why we are happy to tell you who we are and list our staff, their photos and a brief resume. Our trainers are all experts in their fields and well-known and respected within the fibre optics industry. Fibre optic network characterisation is simply testing the installed fibres to determine their properties and specifications. Typically this will involve some or all of: fibre insertion loss measurements (ILM) using light source and optical power meter; optical time-domain reflectometer (OTDR) for identifying locations and high loss events or bends; chromatic dispersion (CD) measurements, and polarisation mode dispersion (PMD) testing. Where the ILM and OTDR measurements check the attenuation, or loss, of the fibre, fusion splices and connectors in the network, the chromatic dispersion and PMD check the signal bandwidth, or bit-rate, that the fibre will readily support by characterising the way a digital pulse of light will spread as it travels through the optical fibre. More on Lucid Advanced OTDR and Advanced PMD and Chromatic Dispersion testing. The requirement for complete fibre optic network characterisation is driven by the growth in the supply of so-called ‘dark fibre’. Companies purchasing dark fibre will normally be responsible for putting their own equipment on the ends of the fibre, and will want to check that the fibre is as described by the vendor, to specification, and/or able to support a high bandwidth (bit-rate) communications service. For some dark fibre networks, characterisation will require all of the above tests, whilst others will require only a subset of the ILM, OTDR, CD & PMD tests mentioned above. This depends on several factors, but chief amongst them the prior knowledge of the fibre type, since some properties such as chromatic dispersion do not change on installation of the optical fibre into the cable and underground network. Conversely, other properties such as the loss of the network are most definitely influenced by the installation. In the case of wishing to verify the quality of fibre installation the OTDR will likely be the most useful tool as it will identify both high loss splices and tight bends (macro-bends) in the fibre or the fibre cable. In order to identify bends in optical fibres OTDR with longer wavelength laser sources are often used (typically 1625 nm). The OTDR can also identify high fibre attenuation caused by micro-bends, however this requires a skilled or knowledgable operator to identify correctly. The other driver for performing a comprehensive fibre optic network characterisation is to enable the most appropriate compensation and mitigation technology to be applied. This characterisation should ensure the most cost-effective schemes are applied to anable the desired optical performance in the fibre network. It is, however, often possible to add standard compensation and mitigation solutions without the expense of performing all of the possible network characterisation tests. At Lucid we are independent fibre optic experts able to advise on this without any bias as we are not trying to sell a characterisation service or fibre optic test equipment. If you want to characterise a fibre network in the most cost-effective and appropriate way contact us to discuss the options first. For a brief overview on fibre optics technology, basic information on fibre standards and field testing of optical fibre systems please click here. Click here for information on ELCAS funding for ex-forces personnel. Click here for information on Laser Safety standards. Click here for information on our LaserBee laser safety software. Click here for information on Laser Safety consultancy. Click here for information on our Training Centre and the Garsdale region. Click here for information on the Fibre-optic Industry Association (FIA) Qualification Scheme, or visit our newsroom for a brief introduction to this scheme to develop a professional status for fibre-optic and copper communications cabling engineers and technicians. Alternatively to find out more about fibre optic qualifications or UK qualifications in general click on these links. 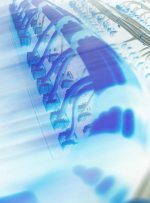 Click here for information on industry events for the cabling & photonics industry. Click here for information on our well-respected G.655 seminar covering the installation and testing of these latest generation optical fibres. For information on suppliers in our industry please click here. 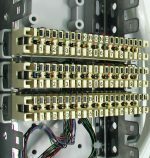 For information on CSCS cards for the UK communications cabling industry please click here. For information on Fibre to the Home (FTTH) please click here. For information on technical authoring or our desk-top publishing (DTP), printing and binding services please click on the links. Lucid is primarily a supplier of optical fibre and copper cable training courses, but we have at times had to incorporate wider networking technology training into our courses for particular clients who have wanted a one-stop shop. To this end we have training course materials and expertise in PDH, SDH, 7-layer model and TCP/IP plus other communications protocols. If your requirements are very advanced we may recommend a partner who specialises in protocol training. Whatever your network technology training needs we have the experts to provide appropriate courses, information and qualifications. We are often asked about the spelling of ‘fibre’ when used in reference to optical fibres/optical fibers. This question arises because much reference material and many text books are either written by american authors, or they have US publishers and the US spell ‘fiber’ in this way. Similarly, many UK companies who have US operations, sister or parent companies adopt the US ‘fiber optics’ spelling for consistency across their organisations. Some use the ‘fiber optics’ spelling just because the US is a large and important market. The English (UK) spelling of fibre has French origins, whilst the alternative US spelling of fiber has Germanic origins and is still used in many European countries where the origin of their native language is more Germanic than Latin. Within the UK fiber optics industry both spellings are now very common, although the correct English spelling should be ‘fibre’, and hence as a UK based company this is the spelling adopted throughout our website. For training courses in the USA or various European countries (such as Germany, Holland, Denmark, Sweden, Norway and so on) we are happy to change our optical fiber training manuals to this alternative ‘fiber’ spelling if requested. No matter what the spelling, optical fiber is now the medium of choice for cable communication systems, and at Lucid we provide the same outstanding training courses in fiber optics.